Our big day in Donana was enhanced by the fantastic weather and superb light, you couldn’t have wished for better! We left the hotel at 7am in the dark carrying our breakfast in a bag, it took 45 minutes to get to the Coredor de Verde, found east of Villamonrique. We stopped in the Dehesa at an area called Qema. 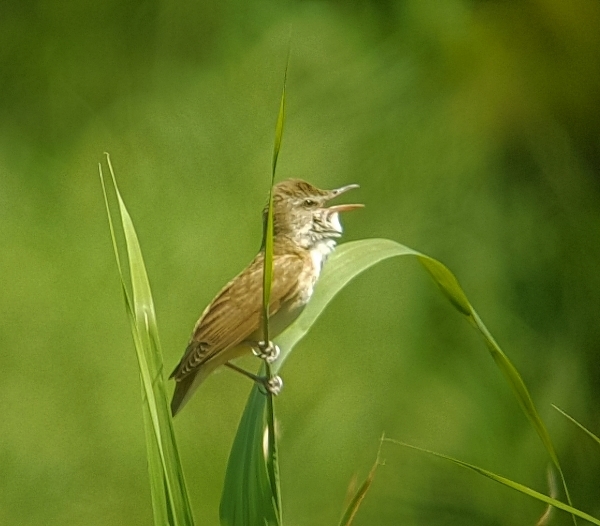 Bird song rang out from every direction as we ate our picnic breakfast, Common Nightingale and Cetti’s Warblers being the loudest but we could also hear Zitting Cisticola, los of Greenfinches, Blackcap and Common Cuckoo. Our main target species in this habitat was the Black-winged Kite we searched every tree-top in the area without success, we did find about fifteen other species though. Many birds were flying over as they left their roosts and set off in search of food for the day, egrets, herons, storks, spoonbills and Black Kites were a common sight. We moved to another track which led us to a more open area and it was there that we found the Black-winged Kite, it was perched on a dead tree at quite a distance but in the morning light it was excellent in the scope. 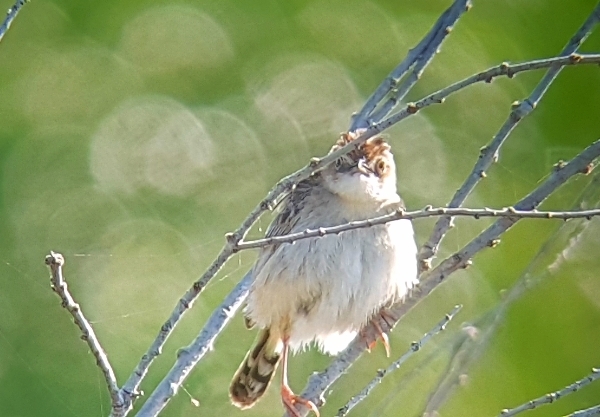 In the meantime we saw Red-legged Partridge, Garden Warbler, Blackcap, Common Nightingale, Eurasian Hoopoe, Zitting Cisticola and lots of common species. 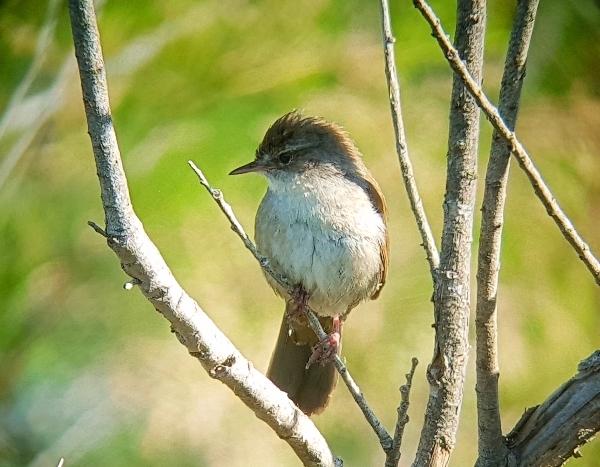 During a short stop on a bridge, as we traveled towards the northern marshes, we watched Spanish Sparrows building a nest and had good views of Cetti’s Warbler, a Common Cuckoo called in the near-distance but we never saw it. Following a track along the Coredor de Verde we eventually came to the large Laguna at Dehesa de Abajo, it was covered in birds, we spent a good hour watching many species. 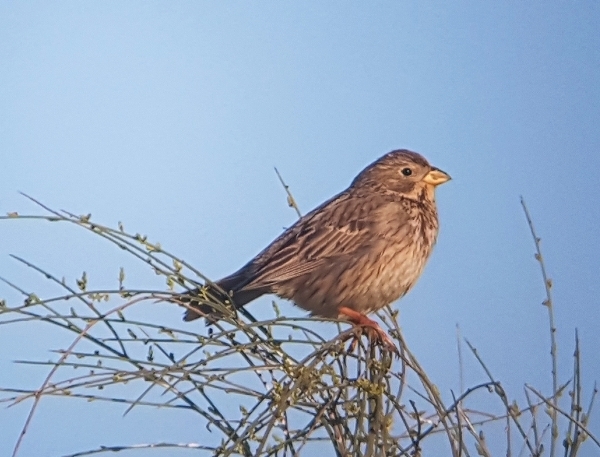 The highlights included unbelievable close views of Cetti’s Warbler, Great Reed Warbler, Night Herons and a couple of exotic African escapees, Yellow-crowned Bishop and Black-headed Weaver. 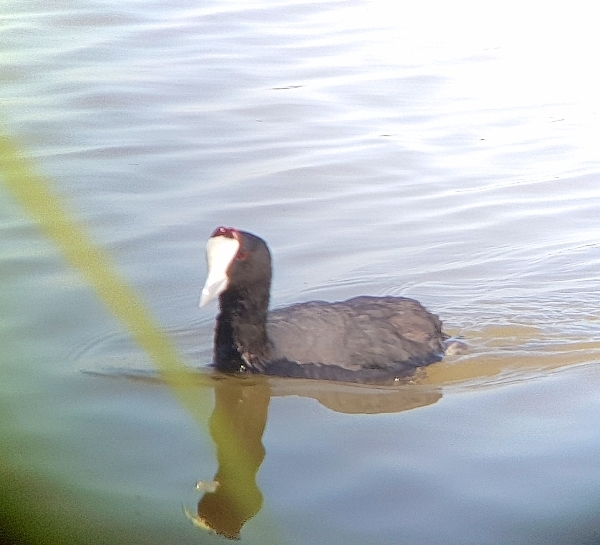 Our walk along the edge of the laguna finally produced a pair of Red-knobbed Coots they showed very closely just below us, we also saw Subalpine Warbler and more Zitting Cisticolas during our walk. The sky was full birds, the ever-present Black Kites dashed about displaying, White Storks, Eurasian Spoonbills, Red-crested Pochards dropping in and some nice flocks of both Whiskered and Gull-billed Terns came over. 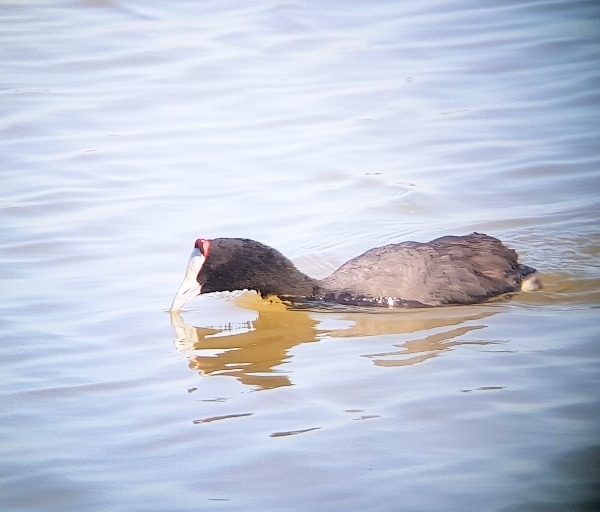 Barn and Red-rumped Swallows joined Sand Martins and Common Swifts catching insects over the water and everywhere you looked the laguna was covered in Grebes, Ducks, Greater Flamingos, Coots, Moorhens, Swamphens, Stilts, Egrets and Herons, it was just fantastic birding. We needed a rest after that session, so we took a quick coffee stop at a local venta before driving down though the northern marshes to the Jose Valverde visitor’s centre in the middle of the National Park. Many stops were made along the way but the marshes were a lot drier than the last two years and many migrant passerines were absent from the fence-lines and scrub. The absence of Northern Wheatear was notable, but we saw many Yellow Wagtails, Corn Buntings, Crested Larks, passing migrants were very few. A single Whinchat, one Montagu’s Harrier and hundreds of hirundines was all we saw. The numbers of Short-toed Larks was also very low and we never heard or saw a single Calandra Lark! Near the Valverde Centre the concentration of birds on the small amount of wet marshes was incredible, we saw about 200+ Purple Swamphens in a very small area with hundreds of Glossy Ibis, Purple Herons, Little and Great Egrets, Eurasian Coots, Moorhens, Great Crested and Little Grebes and the numbers of Whiskered Terns reached three figures too. 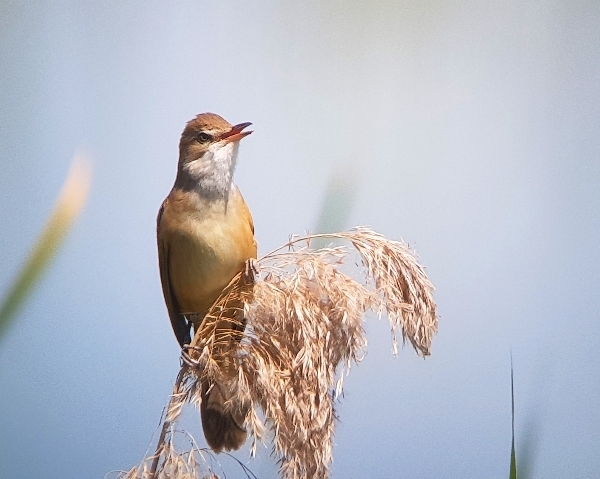 Great Reed Warblers are so loud! We had a great time scanning the marshes during our lunch stop, the light was so good and noise from the Great Reed Warblers was deafening at times. We saw Little Bittern briefly, our first Squacco Herons, more Gull-billed Terns, also a few common duck species. Overhead we listed a dozen or so Griffon Vultures, more Black Kites than you can shake a stick at, Lesser and Common Kestrel, Marsh Harrier and lots of Jackdaws. 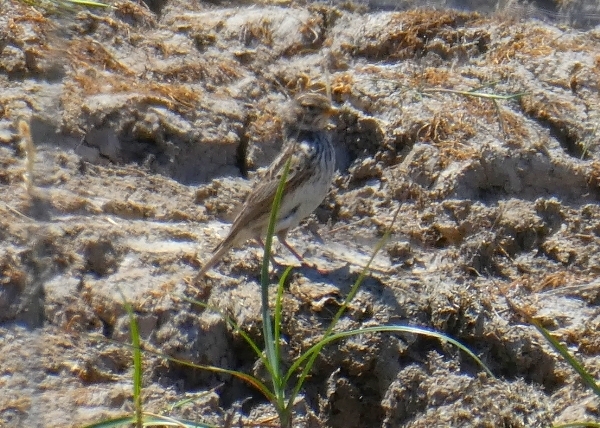 Our search for Collared Pratincole went unrewarded but we did find the elusive Lesser Short-toed Lark just before we drove to the visitor’s centre. 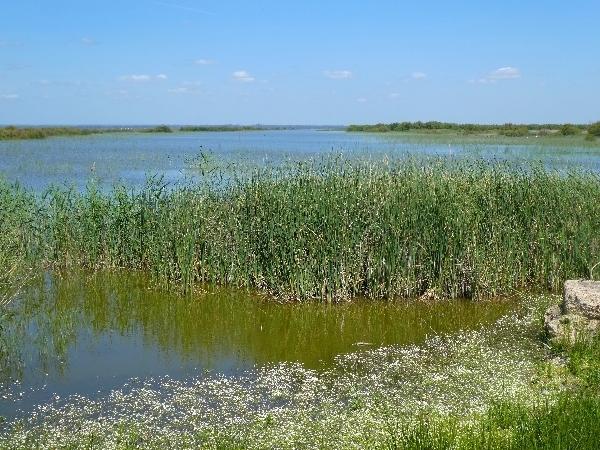 The pools and reed-beds around the centre we covered in thousands of Glossy Ibis, the main egret and heron colony has moved from there in recent years but the number of Ibis has increased ten-fold over the last decade. 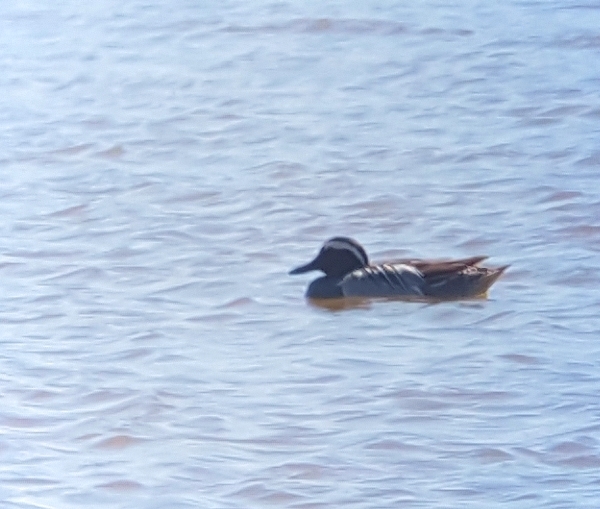 We caught up with Garganey, two pairs were on the pools at the centre with Red-crested and Common Pochard, Gadwall and Northern Shoveler. No waders were present except for two Common Sandpipers and a handful of Black-winged Stilts. After another coffee we set off for the return journey taking a different route. Great close views of Great (White) Egret was had, we also stopped to watch a single Common Redstart, Spanish Sparrows, Lesser Kestrels (about 14 birds), Yellow Wagtails and not much else. A raised bank gave us views over the extensive marshes, we could see for miles in all directions, this was where we had a great raptor watching session. The late afternoon light was perfect for scoping distant raptors and those high up. Over a 30 minutes period we saw a huge amount of activity and listed the following species: Montagu’s, Marsh and Hen Harriers, Common and Lesser Kestrels, Black Kite, Short-toed Eagle and the best of all was a SPANISH IMPERIAL EAGLE (a first year, juvenile bird), wow! That caused some excitement. We also notched our first Collared Pratincole, the exquiste light was to die for, it was very hard to drag the group away. It was 5:30pm when we left, it took just under an hour to get back to El Rocio, no major sightings were made on the return trip. We took dinner early and afterwards we drove to La Rocina Reserve to search for Red-necked Nightjar at dusk, not a single one was heard and other birders in the area had the same results, perhaps the Nightjars hadn’t arrived back on their breeding grounds yet! The day ended, we had amssed a creditable count of 86 species today.